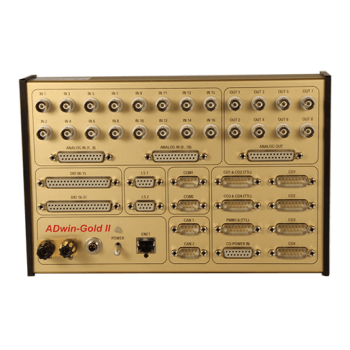 The ADwin-Gold-II is a stand-alone system for data acquisition and control, designed for use in industry or in the field. 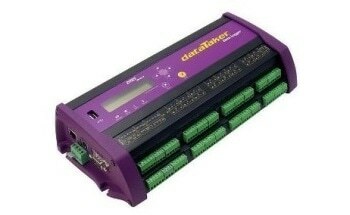 The compact unit includes rapid DSP memory and control with inputs and outputs in both digital and analog. Communication with external computer-based software is possible via a USB or Ethernet connection. The ADwin-Gold-II can be provided with extra functionalities such as additional interfaces (encoder, CAN bus, SSI and serial) and counters. 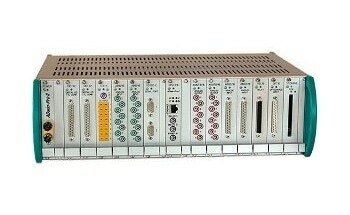 The system can be used in many different scenarios including in mobile/vehicles, in research labs or mounted on industrial machines via a DIN-rail. 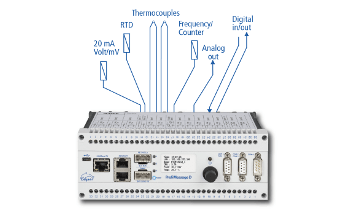 By using a TiCo processor the ADwin-Gold-II adheres to the tightest timing requirements. 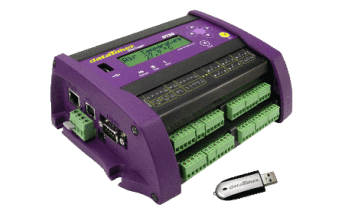 The TiCO processor is independent of the instrument and can be individually programmed via its own bus, which provides access to all required interfaces, inputs and outputs. The ADwin-Gold-II’s strong and compact casing allows it to be used in many ways – either as a portable system (in combination with a laptop), as a panel mounting or as a desktop system. The systems low power requirements of 9 to 28 V means measurements can take place in vehicles as well as conventional industrial locations.